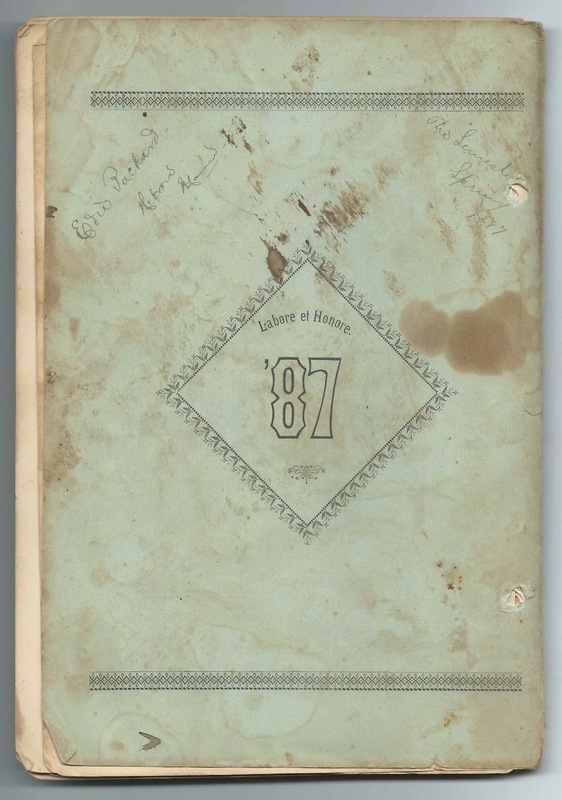 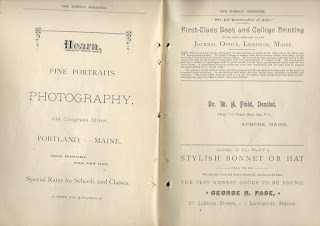 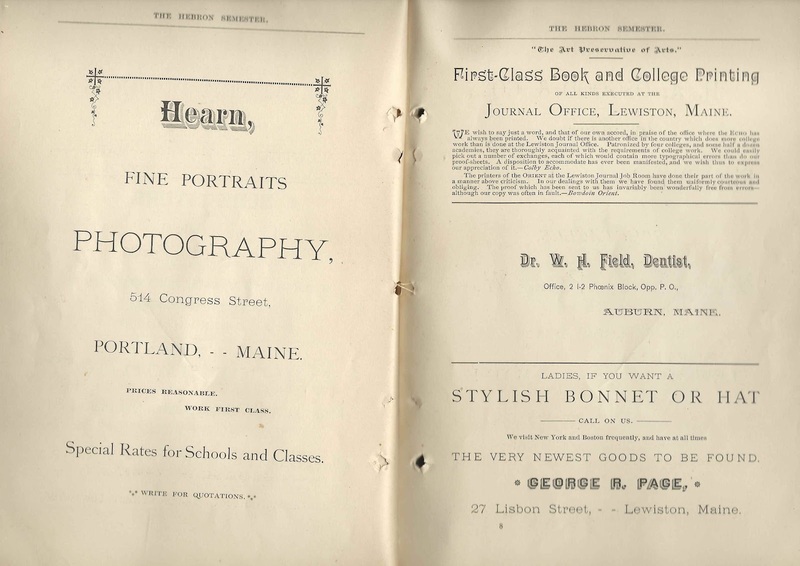 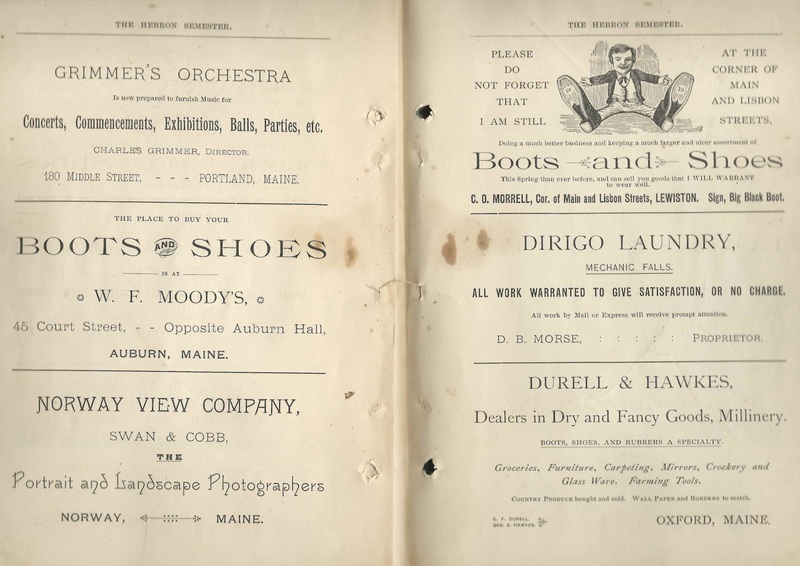 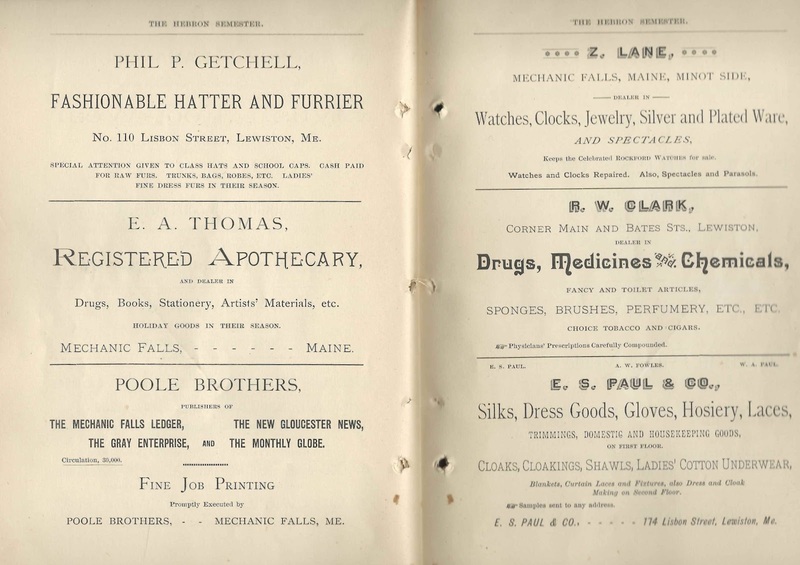 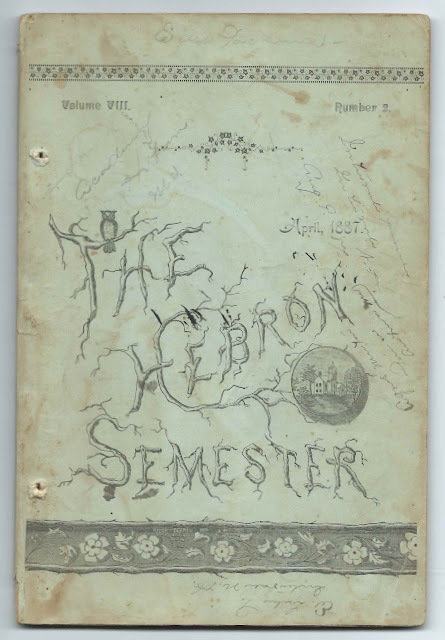 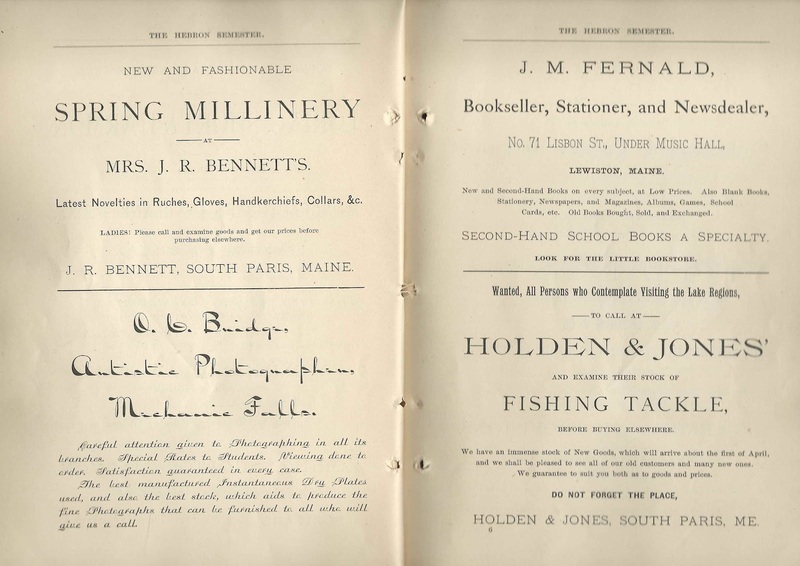 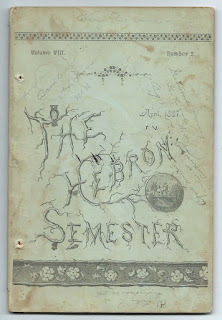 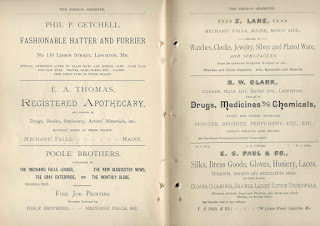 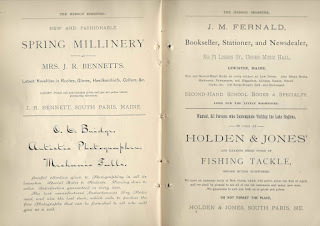 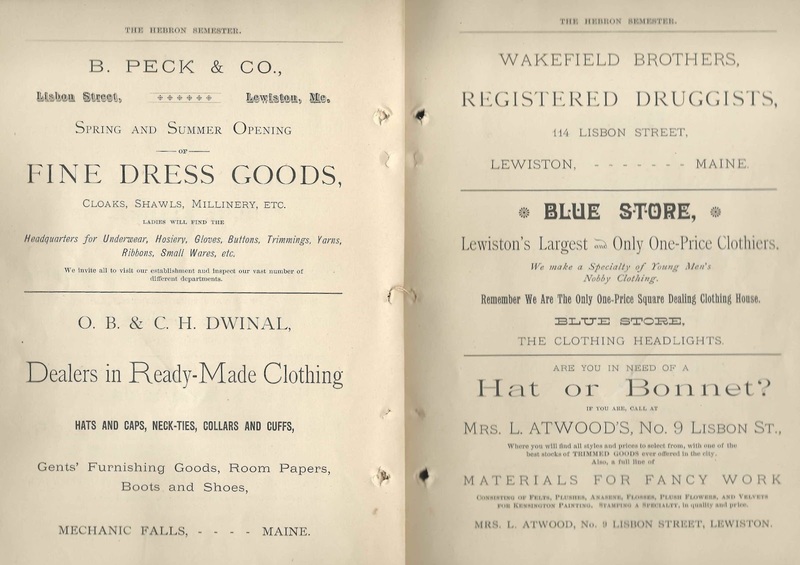 This copy belonged to former student Edith Lulu Packard of Hebron, Maine, who wrote her name at the top of the front cover, as shown above, and added a few comments throughout. 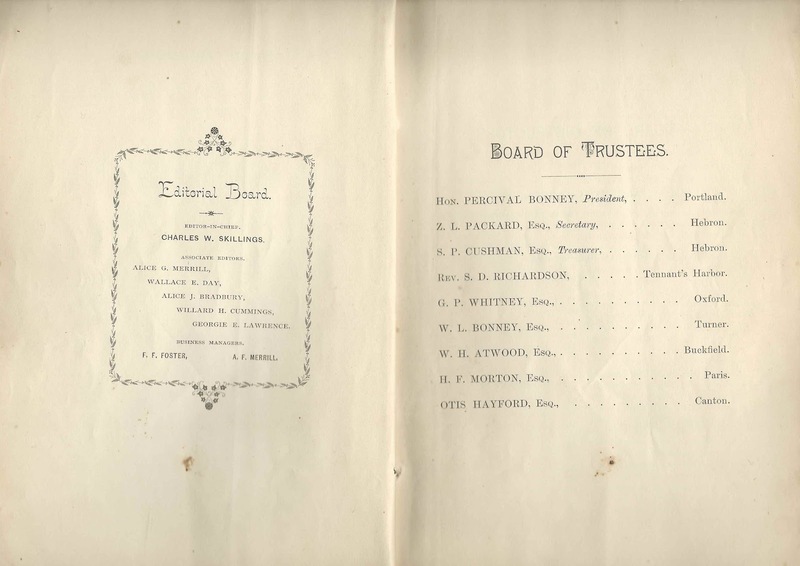 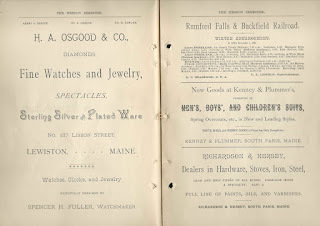 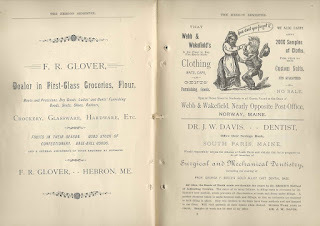 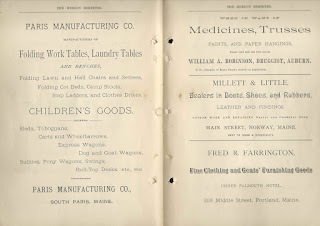 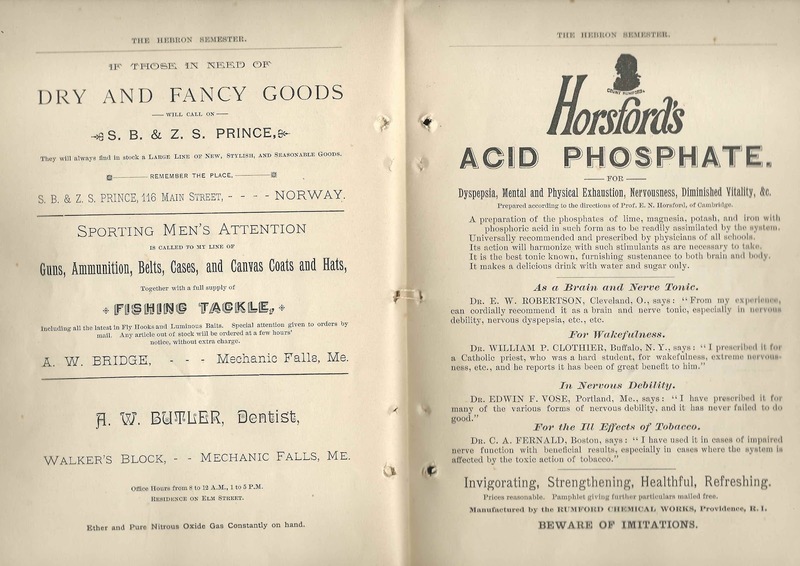 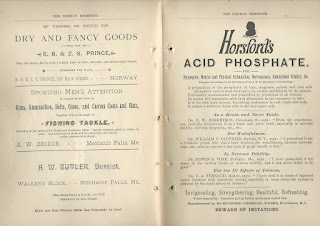 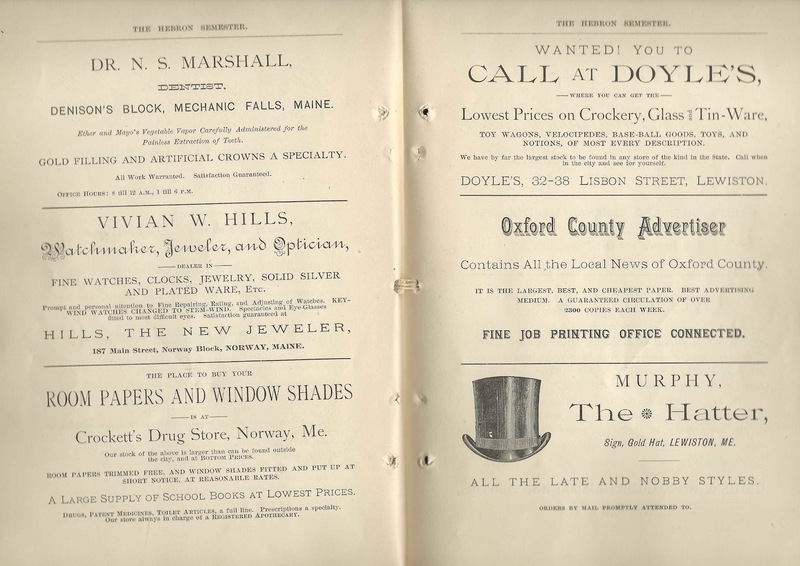 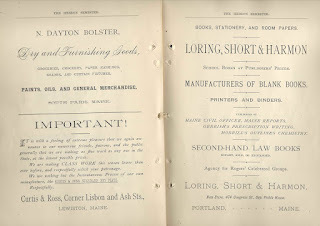 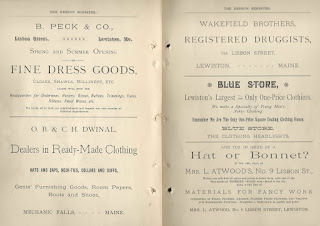 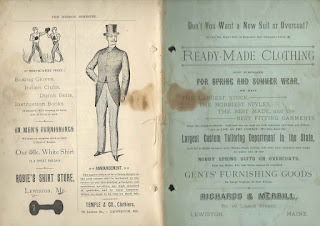 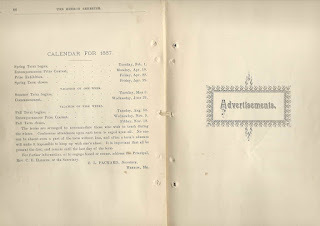 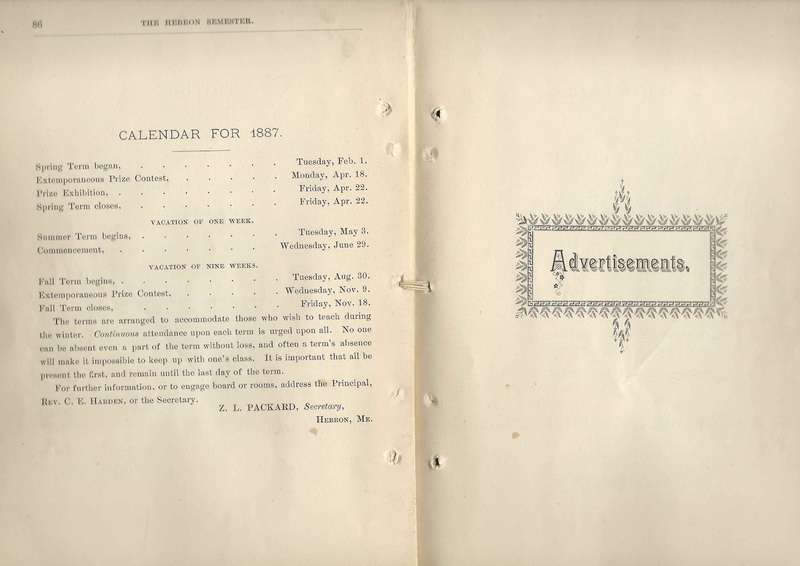 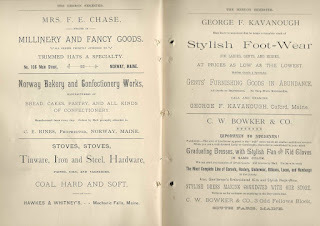 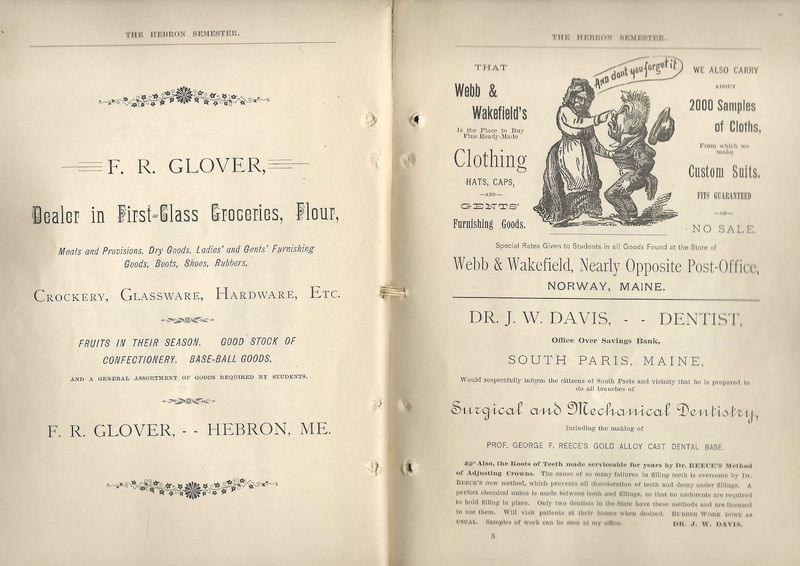 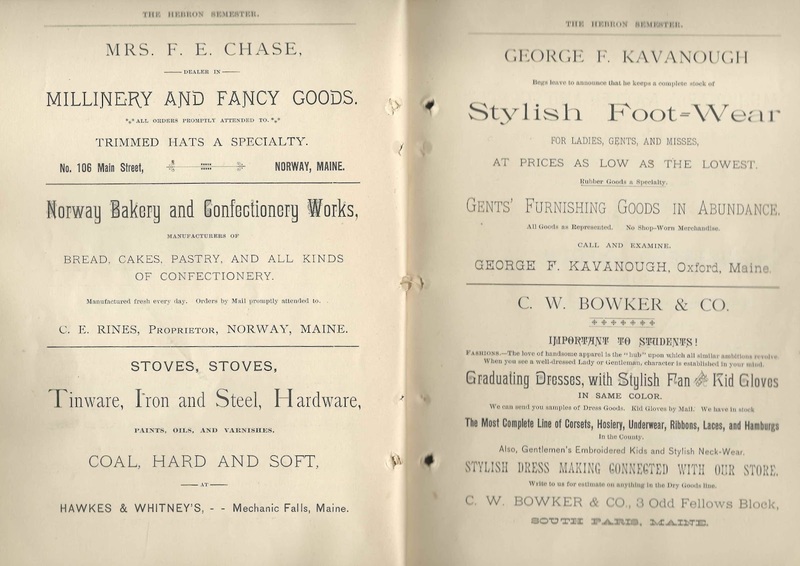 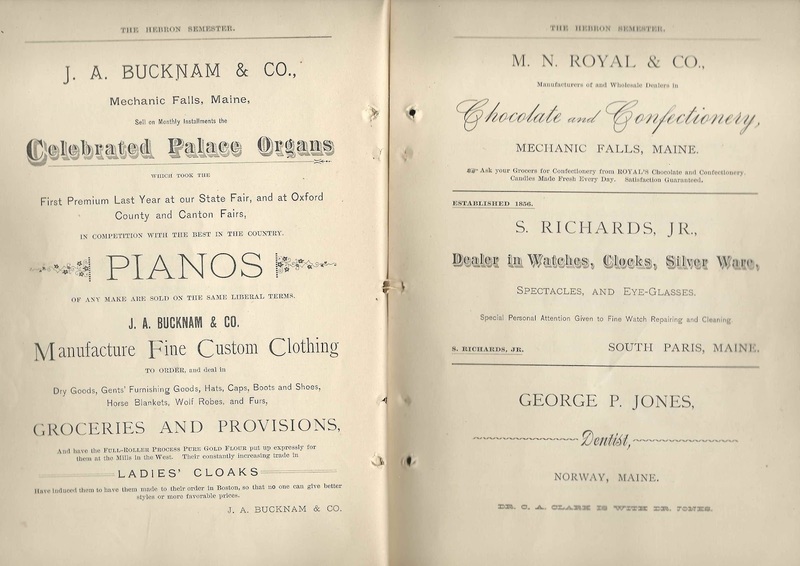 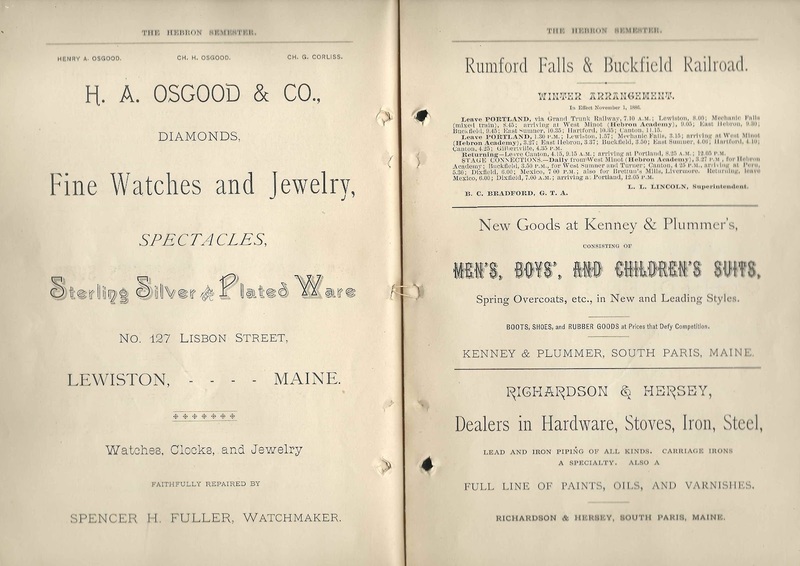 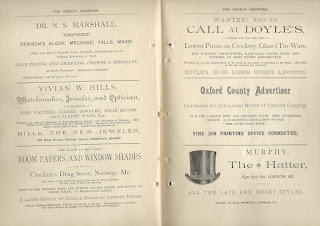 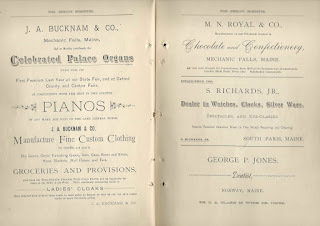 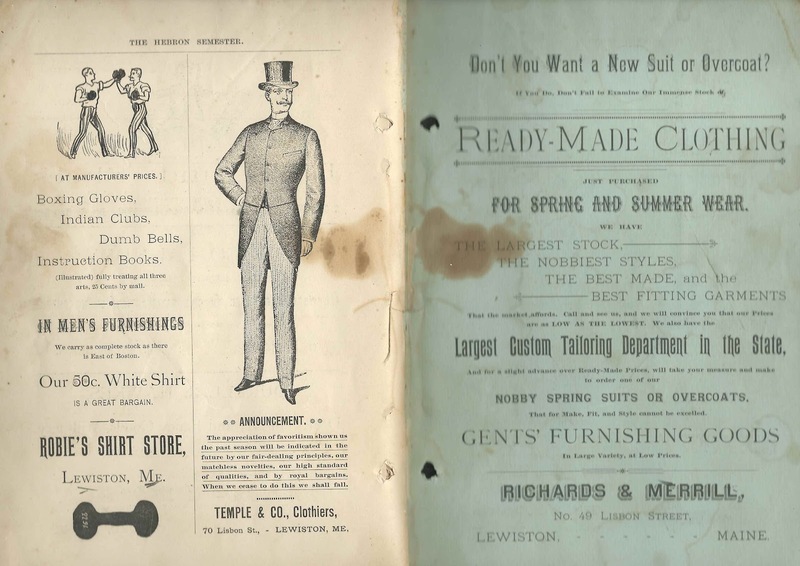 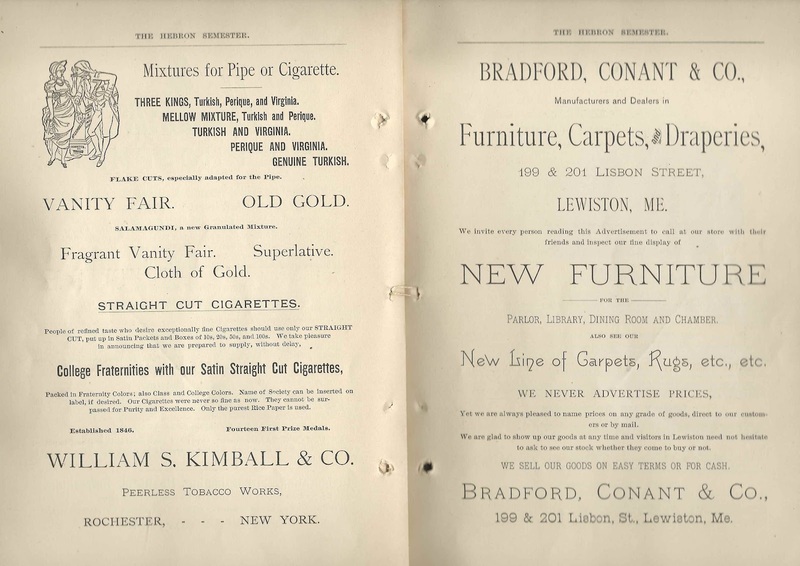 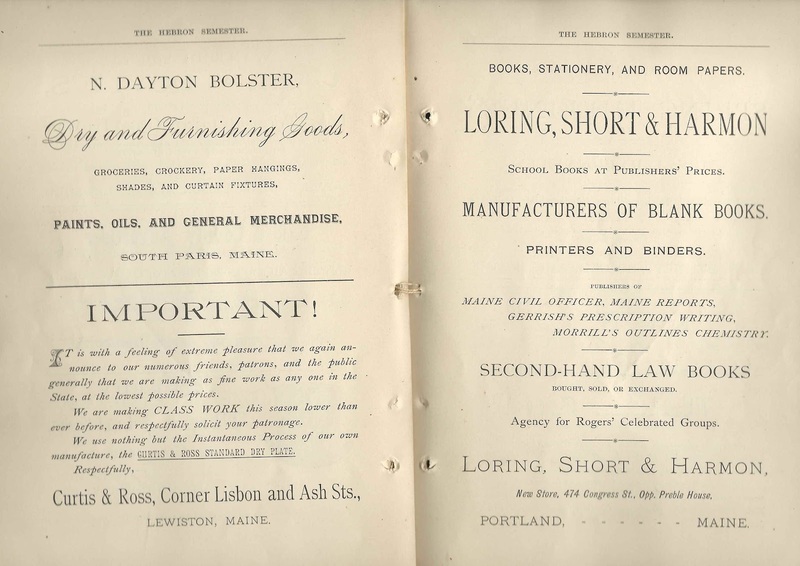 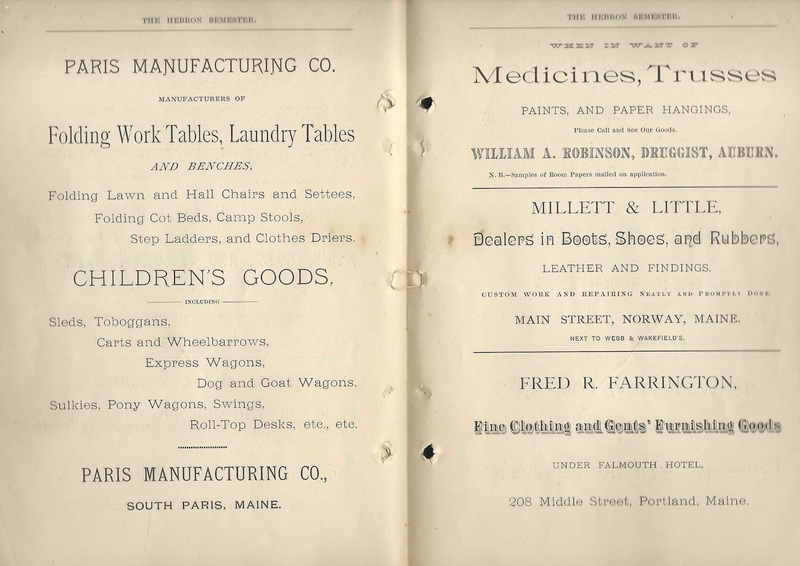 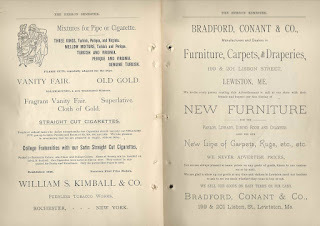 The issue measures approximately 9-1/4" by 6-1/4" and contains over 30 numbered pages, plus 33 pages of advertising and advertisements on the inside front cover and inside back cover and back cover. The average term expenditure is $16.66, which includes tuition, room rent, wood, lights and books; most students have food sent from home. The students this term have been keeping paths shoveled after snow storms, so well that two may walk abreast, and availing themselves of the snowy hills with snowshoes and sleds, to the effect that few have been ill with more than an occasional cold. 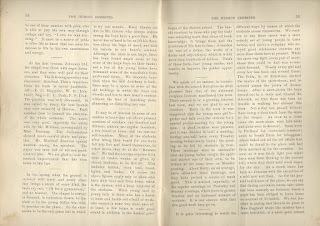 The Wood-saw Brigade reduced Mrs. Turner's 5 and 1/2 cords of wood into a sawed, split and stacked pile within two hours. 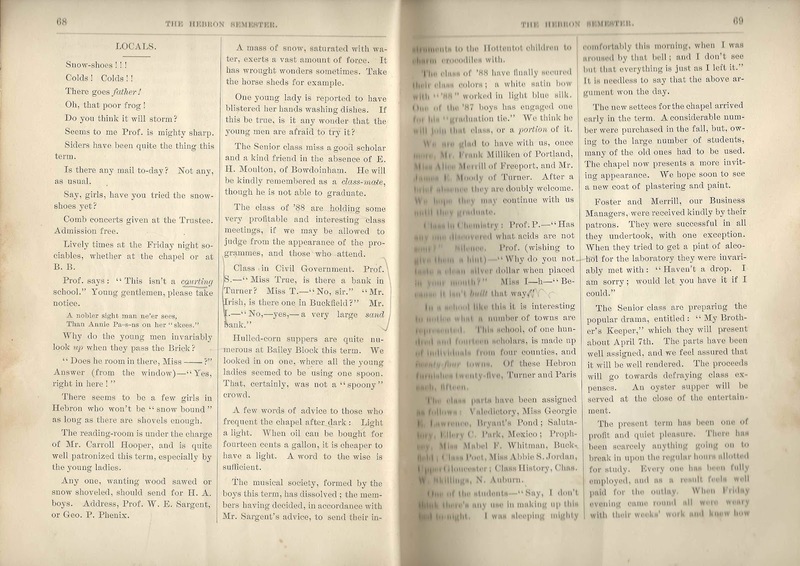 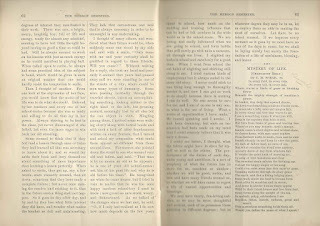 Letter to the Editor from A. C. Herrick, pastor at the Calvary Baptist Church at Sacramento, California, dated, March 22, 1887. 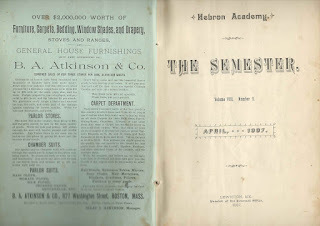 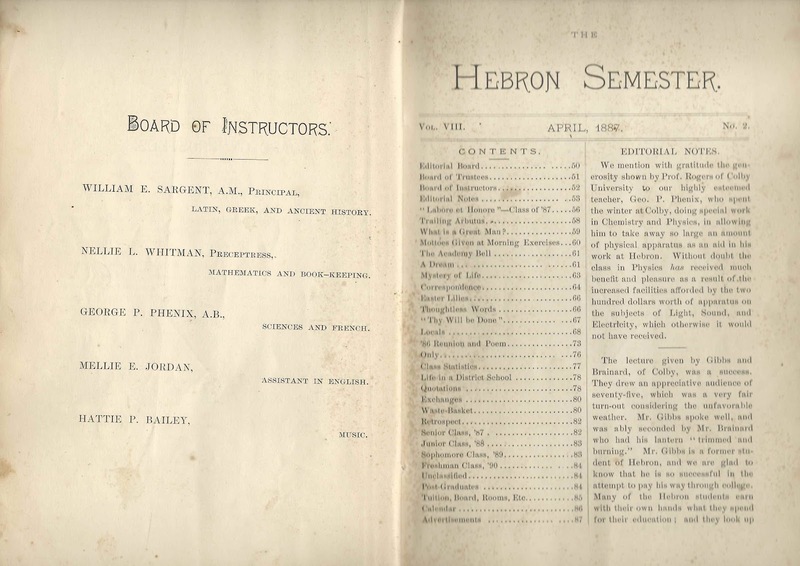 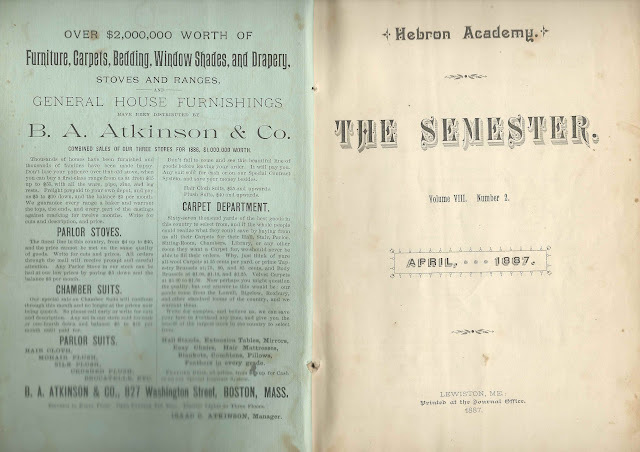 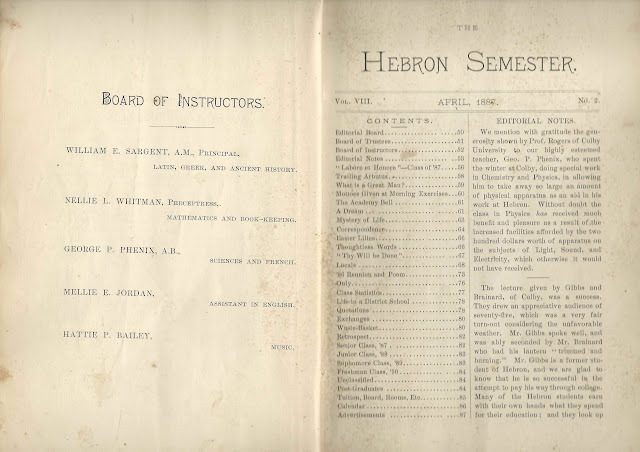 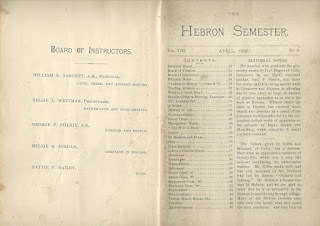 Herrick attended Hebron Academy from 1851 to 1853 and was Principal there from 1861 to 1871. 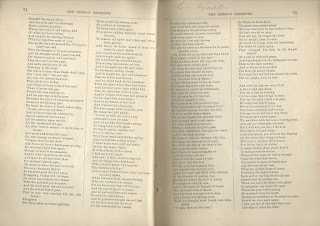 He quoted Longfellow: Secret studies are the sunken piers over which one bridges his reputation. 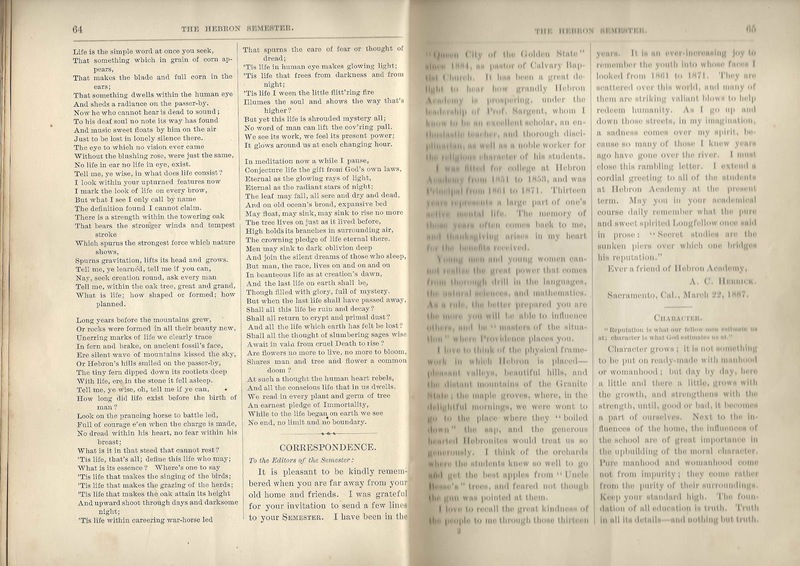 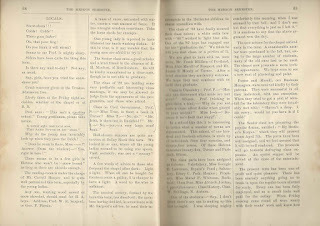 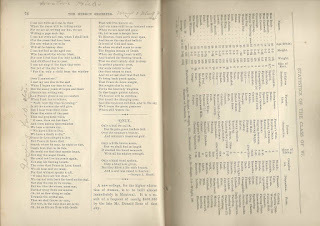 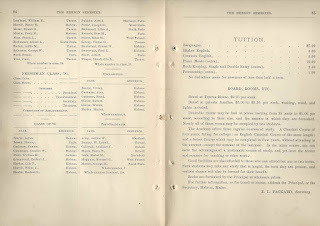 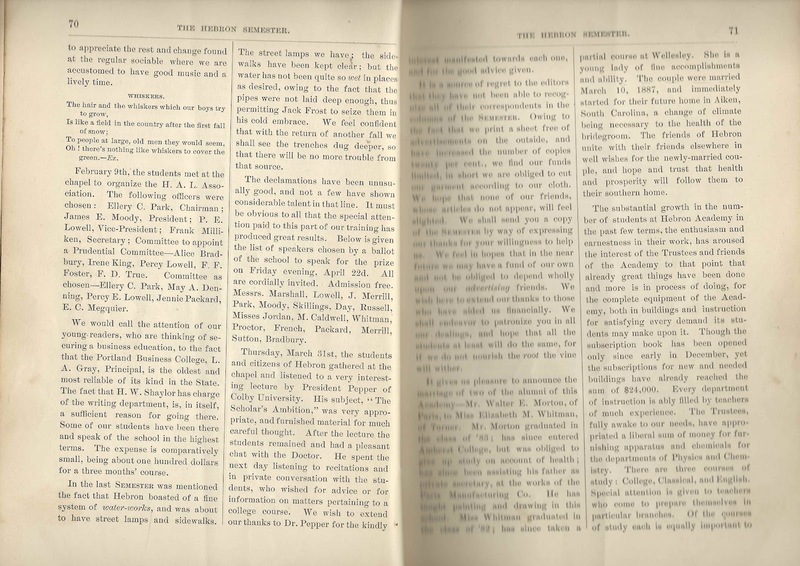 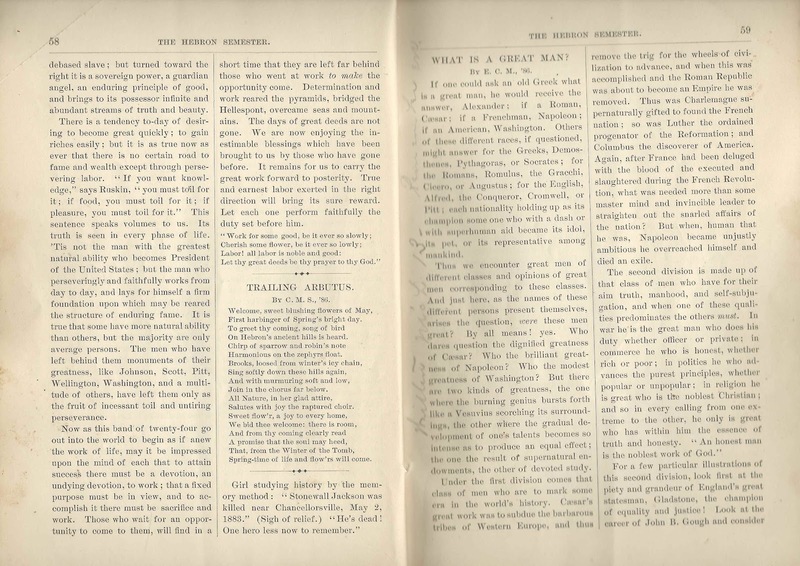 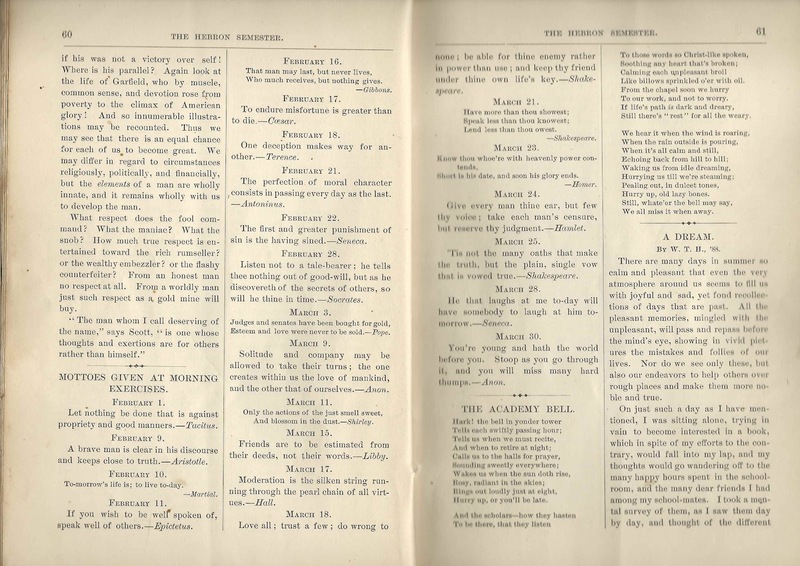 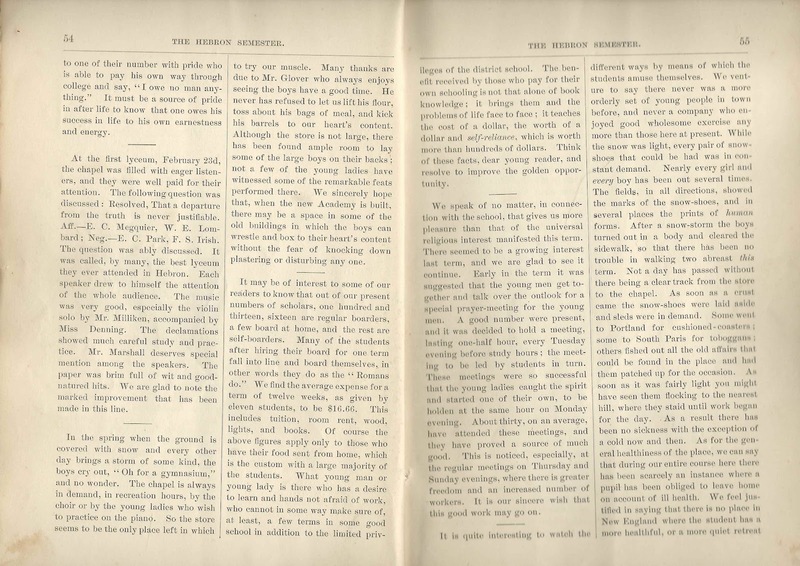 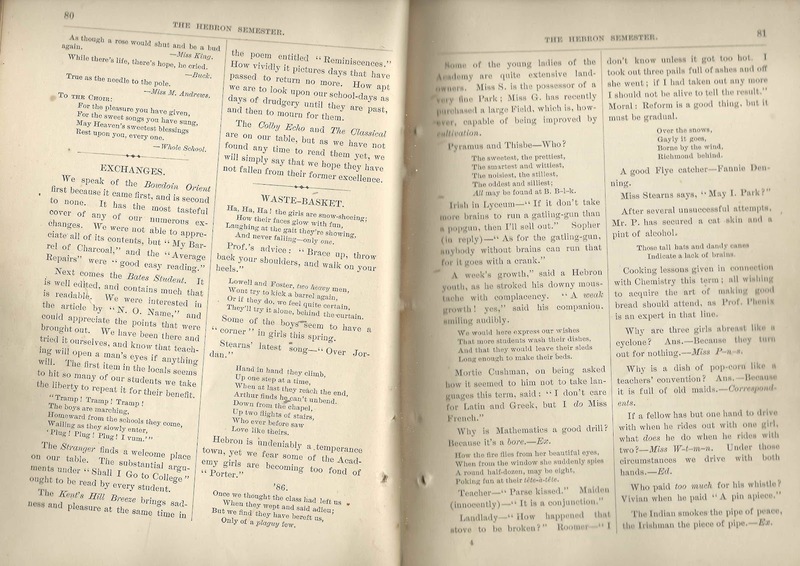 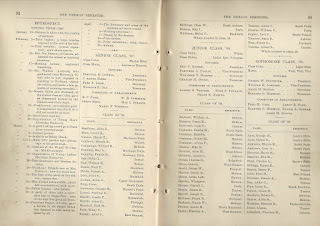 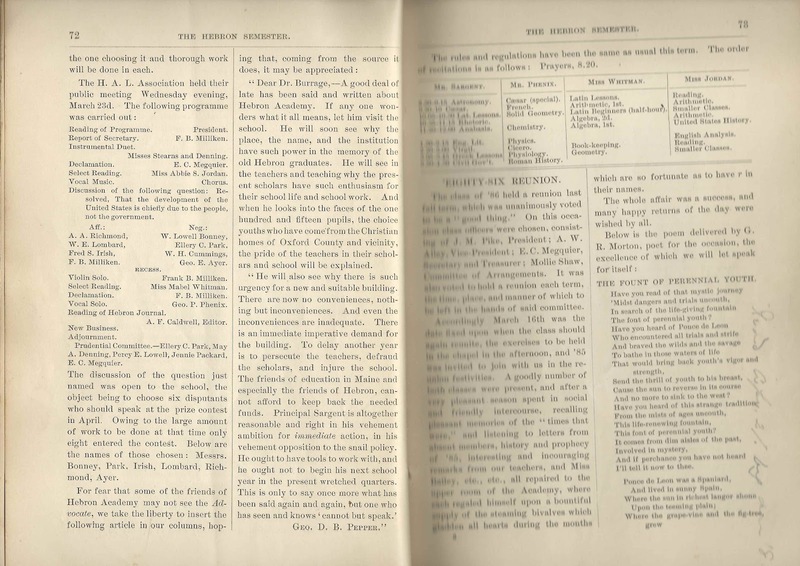 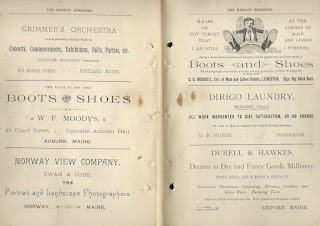 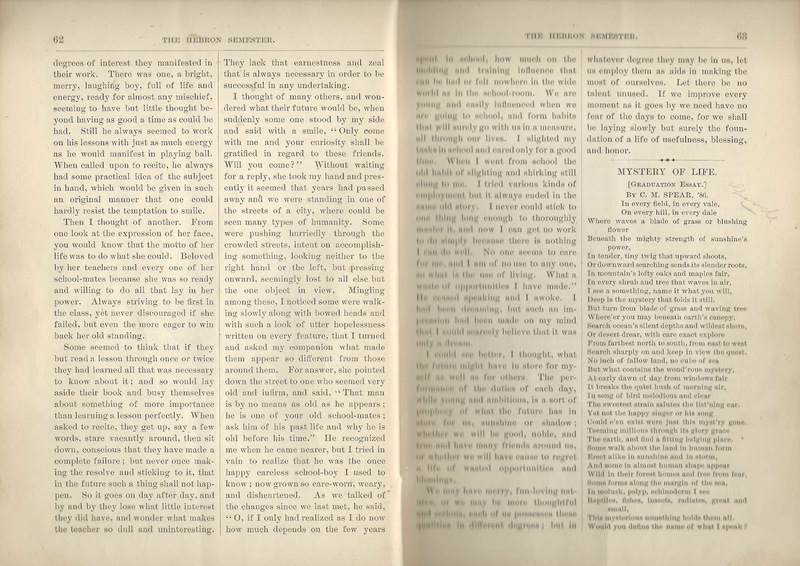 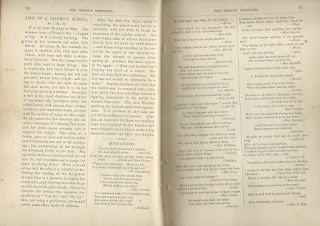 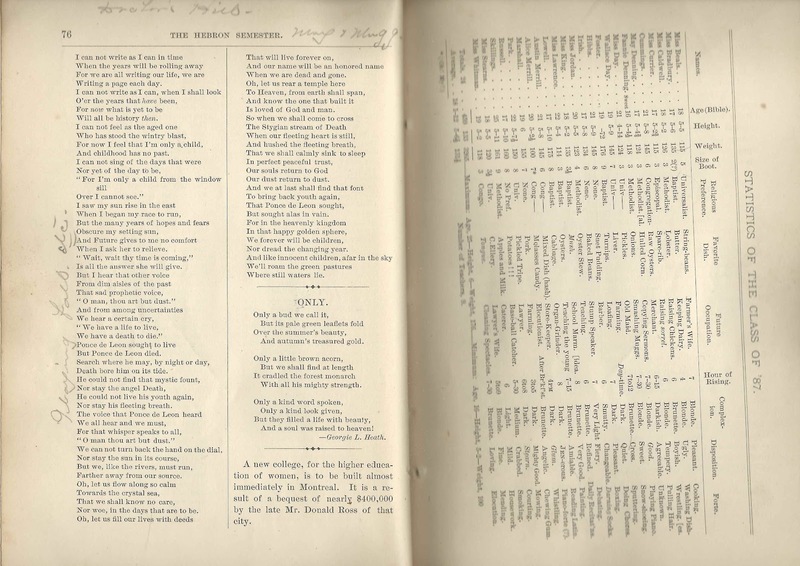 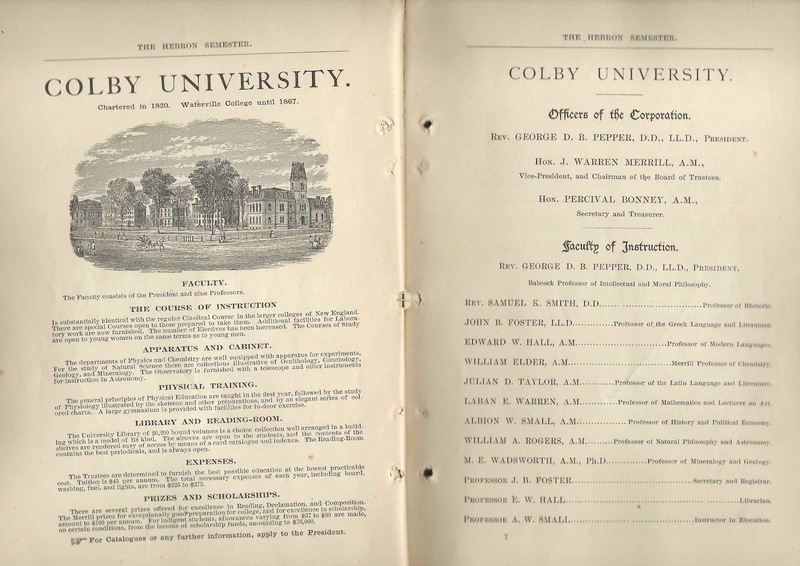 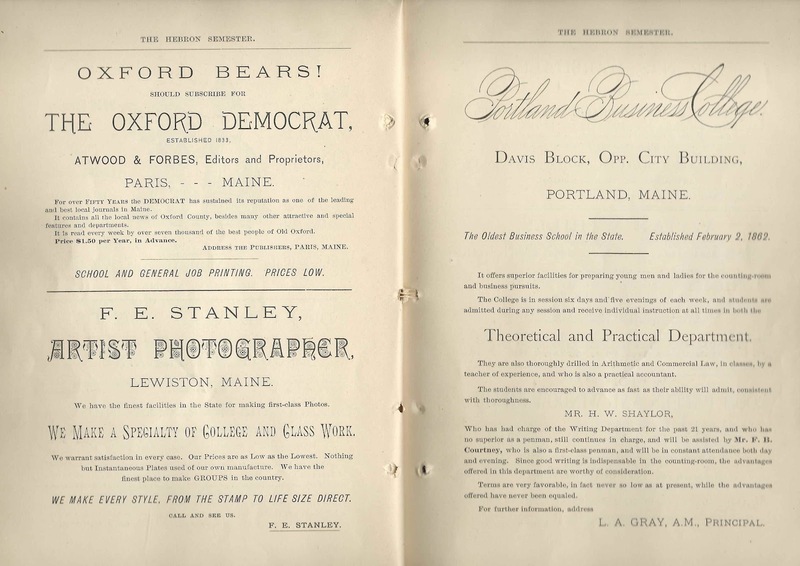 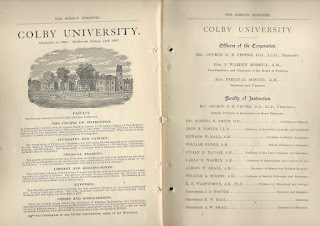 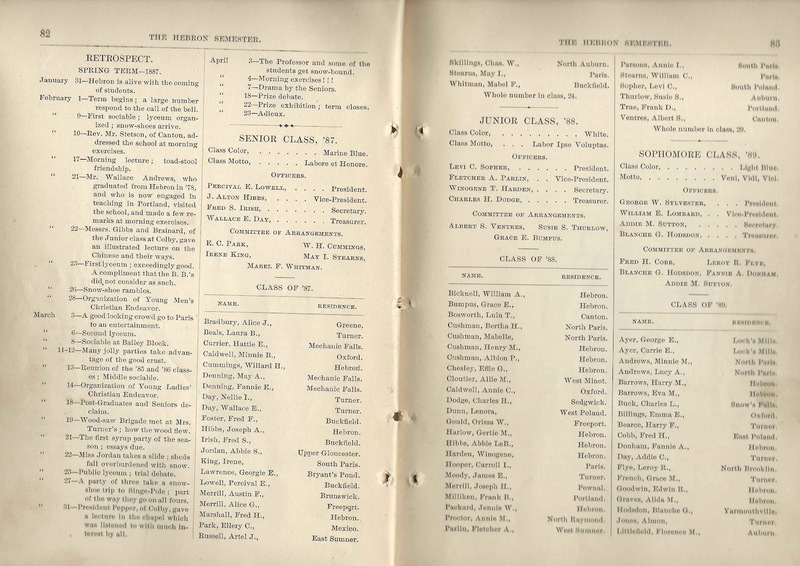 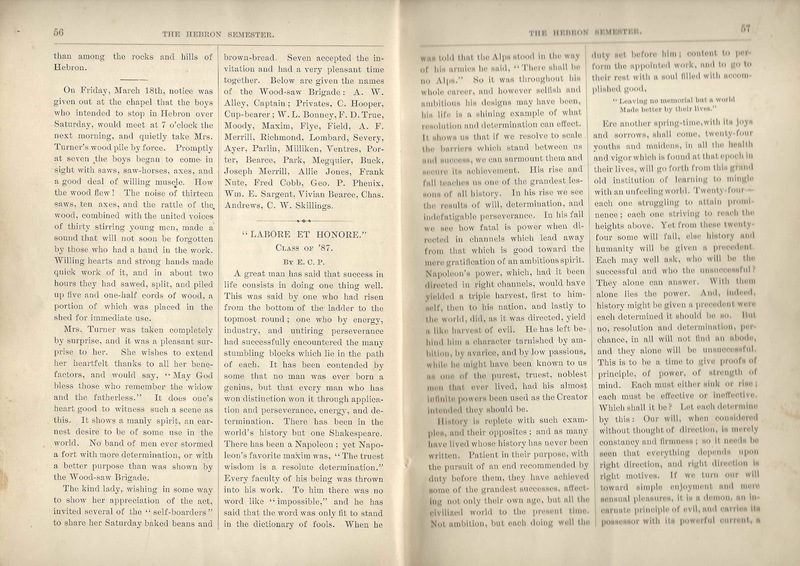 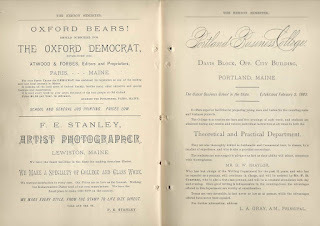 George Randall Morton of South Paris, Maine; post-graduate at Hebron Academy; of the Class of 1886; his poem on the occasion of the class reunion in the fall of 1886, pages 73-76. 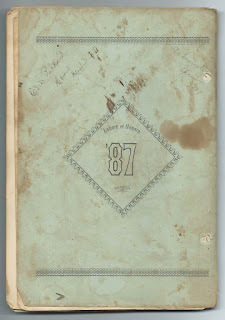 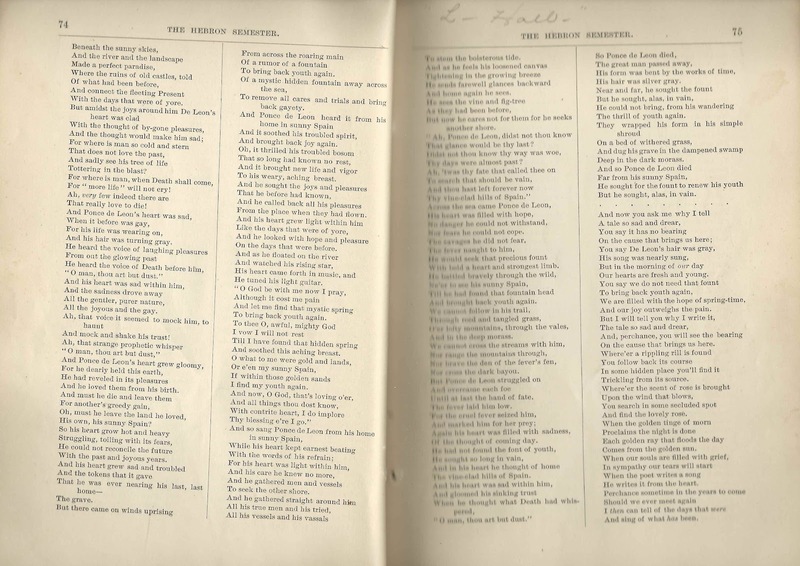 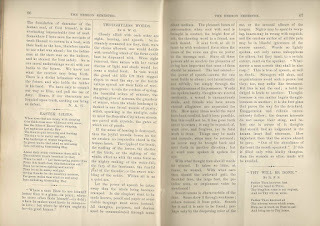 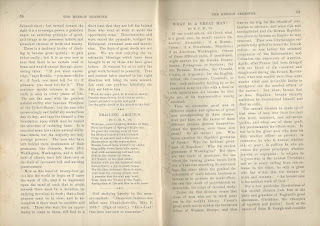 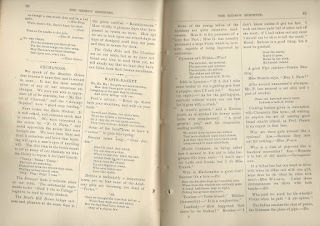 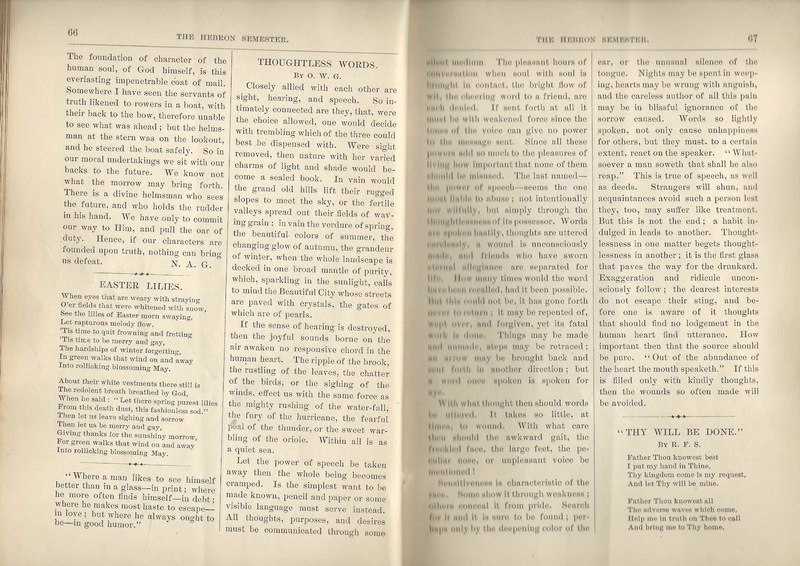 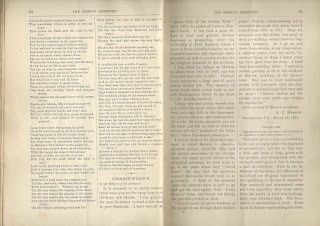 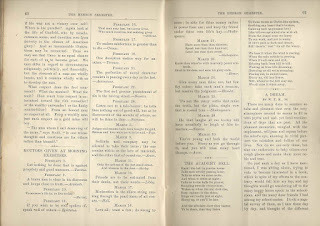 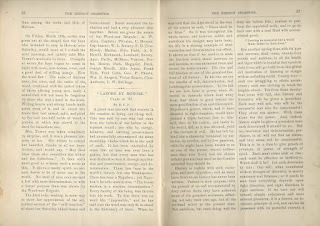 The owner of this issue copy, Edith Lulu Packard, wrote in the margins next to George's poem. 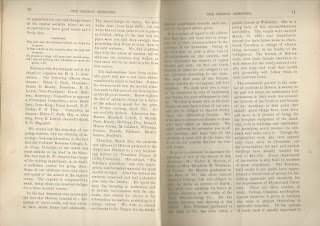 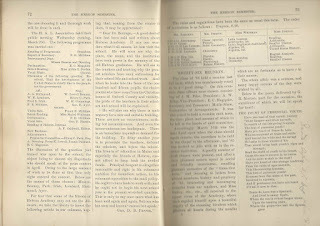 Images of all of the pages - click on an image to enlarge it.